–Try new, super challenging basketball shooting action with Best Thrower. This aim and shoot basket free throw challenge will put your hand basketball shooting skills to real test. Why? Well, it may be the hardest and most exciting hand shooting basketball thrower you’ll ever try!🏀HOW MANY CAN YOU SCORE IN 1 MINUTE?Start this ultimate basketball shooting action and enjoy immersive basket throw gameplay. While you start shooting baskets (all in impressive nature surroundings and exquisite graphics) in a simple and narrow [easiest] position, there is a twist. Actually several twists..- Your shooting position will start to change and shooting gets harder! – For each basket you miss, your score will be reset. 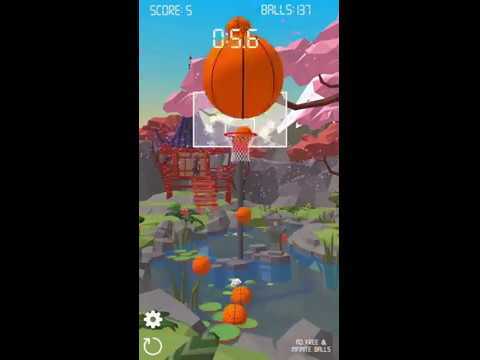 How many can you score in 1 minute?⭐️WHY YOU’LL LOVE BEST THROWER:✅ aim and shoot basketball throw gameplay✅ simple hand shooting basketball & basket throw controls✅ distance and position change✅ for every missed basketball score is reset✅ 1 minute time limitYou think it’s easy and you can dominate this basketball shooting action?Try the hoop challenge and show that you can become the best basketball thrower!